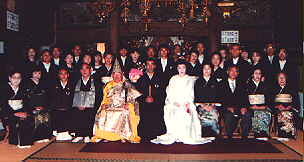 The Buddhist wedding in Japan is not like a Christian wedding where all the guests go to the charch for the wedding ceremony and then to the reception. 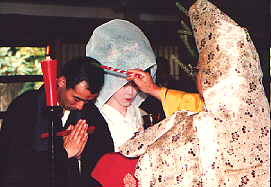 In Japan, you probably won't be invited to the religious part of the wedding unless you're a relative or the go-between. 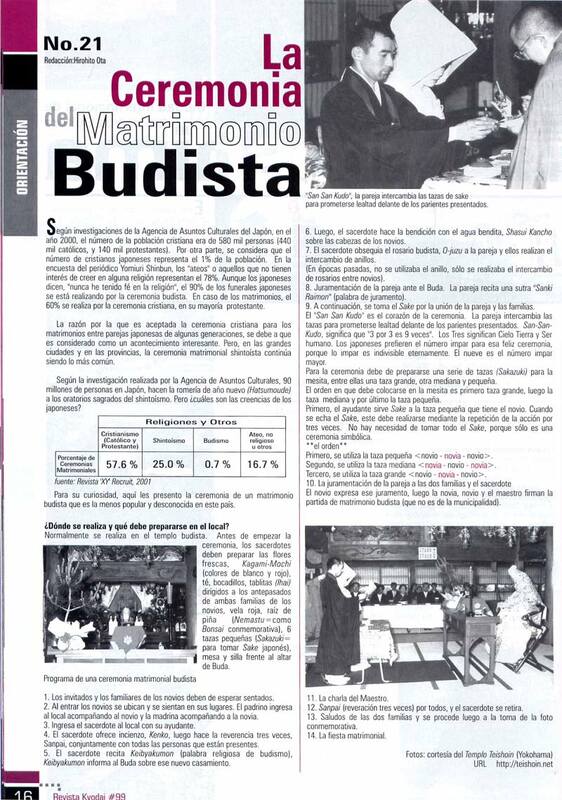 The couple enter and sit in front of the altar with the go-between and his or her spouse. 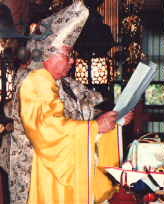 The priest enter to the hall. 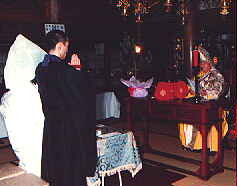 Offering Incense. Gassho and make a bow. 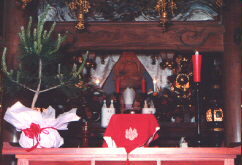 Keibyakumon; Report to the Buddha. 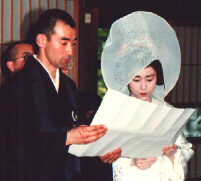 Presentation of the O-Jyuzu,and exchange of rings.Bride and Groom. 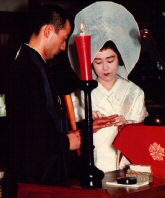 The couple exchange sake cups to pledge loyalty in front of the gathered relatives. This is called San-San-Kudo which means literally "3 by 3 is 9 times." 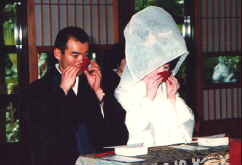 Both the bride and the groom take 3 sips of sake each from 3 ritual sake cups. 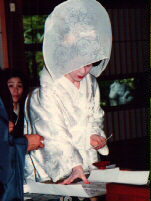 Then sake is passed around to all the relatives as a formal binding of the two households. 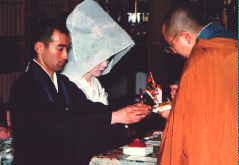 The bridegroom repeats marriage vows on behalf of the couple.